Hangers, Boxes, Baskets and Containers! Fabric Tassels,Boho Style ,Fun Funky Jewelry & Fashions For You & Your Home ! Please click on one of the many categories above on the left side panel and browse through hundreds more items! Size: 1 1/2 x 2 1/4 Inches tall. Frosted on a shampoo cover. 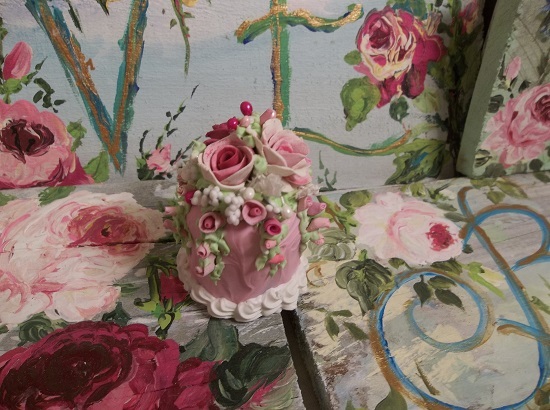 This beautiful fake cake is graced with my own handmade clay roses and buds. 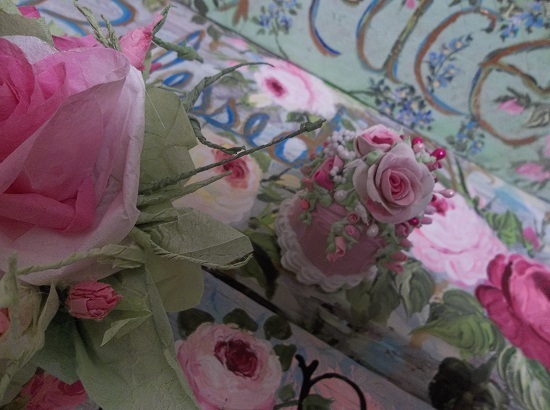 The roses are made by hand completely and if you look close, you can even see my fingerprints. 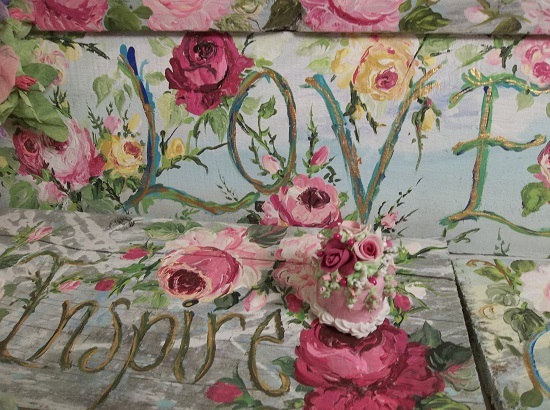 This fantastic cake will make a wonderful display for tea parties, my cakes are wonderful for gift giving, for Birthdays or Anniversaries. What a fun new thing to collect, fake cakes are just so much fun! 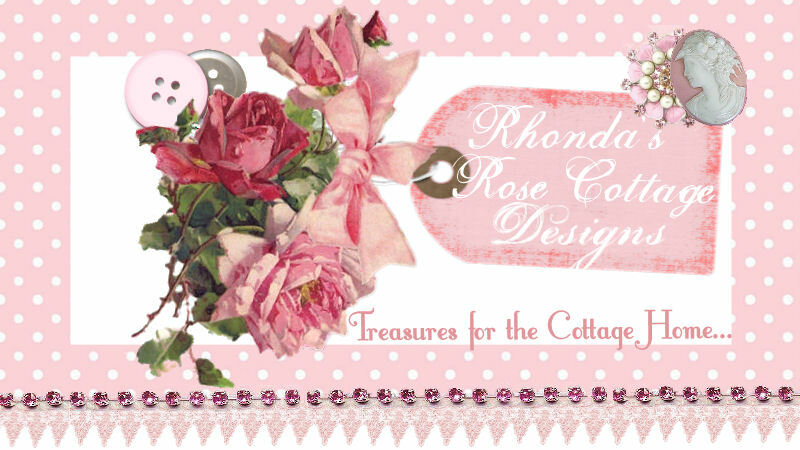 Enjoy this unique treasure from Rhonda's Rose Cottage Designs. Fake cakes are just so wonderful for people who can't have sweets or eat cake due to their diet. My cakes are a wonderful treat to feast your eyes on! They are completely not edible and are for display only! Please keep them away from children, pets and HUNGRY HUSBANDS!! Please note that you are purchasing the cake only and all other items in photos are props and are NOT included. For International shipping, contact me for a shipping price. This cake comes with a paper doily. It is frosted with fake frosting.